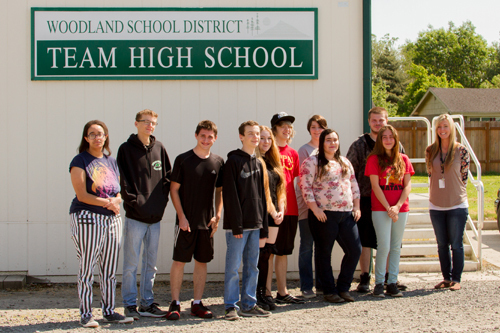 Woodland Public Schools’ TEAM High School offers an alternative path for students to achieve success in their K-12 education by offering flexible lesson schedules, self-directed lesson plans and personalized teaching in a focused learning environment. 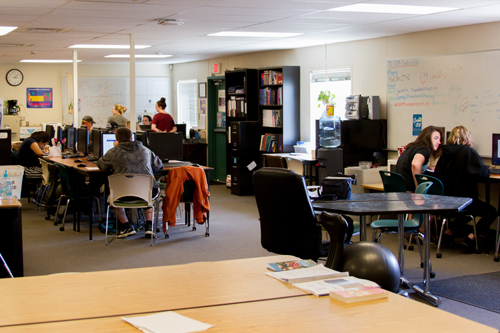 The dedicated TEAM High School classroom provides students with the resources they need in a less-formal, non-traditional classroom environment. Graduation is the top priority for students with TEAM staff preparing "Grad Maps" to help students finish all of the requirements they need to receive their diplomas. 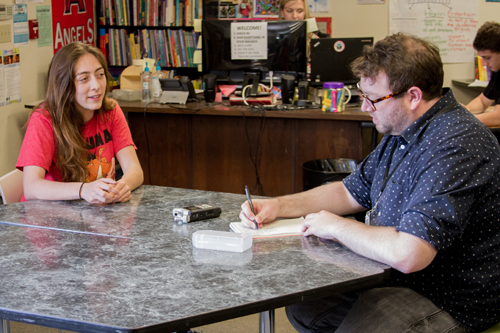 Destinee Navarro, seen here interviewing with The Columbian's Adam Littman, will graduate this year and plans to earn a business degree so she can open her own bakery.